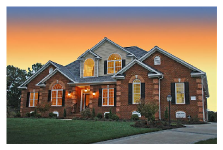 I’m Elaine Reeder and I am a designer with Southern Traditions (whom I believe to be the best custom home builder in Virginia!) Here I am with Rob Carter, the owner (my very nice boss!) This was taken at our first Homearama. We are about to embark on our 5th Homearama in 2016. Please follow us on our journey to designing and building our 5th custom show home which we will finish in April. First things first: to pick a plan and get it approved by the developer. We both like Southern Living style houses with big wide porches. We are going for a coastal farmhouse look. I fell in love with the island of Nantucket off the coast of Massachusetts last Summer on my first visit there. Oh the hydrangeas! I will refer to our house plan as Nantucket South. Our lot has been assigned. We are lucky number 7. We have some exciting “outdoor” spaces ideas but I don’t want to get ahead of myself. I will let you know later about that. But here’s a hint: we are going for a coastal theme! Speaking of coastal, here are some of the very first accessories I purchased for the house. 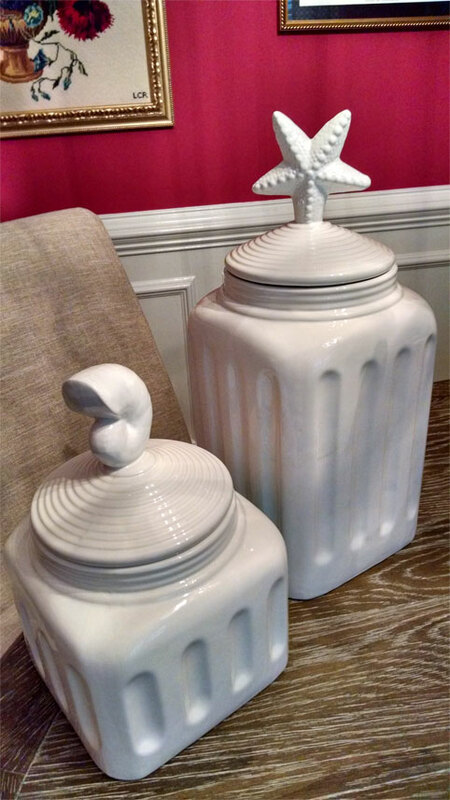 Don’t you love the shells on these kitchen cannisters? I know it’s a little crazy to buy accessories for a house still in the planning stages, but when you see the perfect item at Homegoods, you buy it! (Don’t you just love Homegoods?) You will see I do a lot of shopping there. I will keep you posted on my “finds” as we go along the next several months. 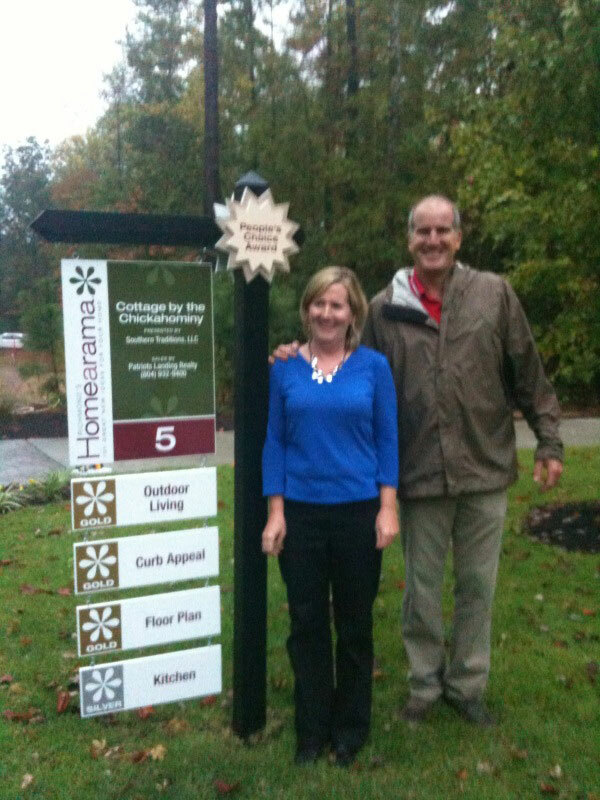 The 2016 Homearama is being held in the Hallsley subdivision in Midlothian, Virginia. 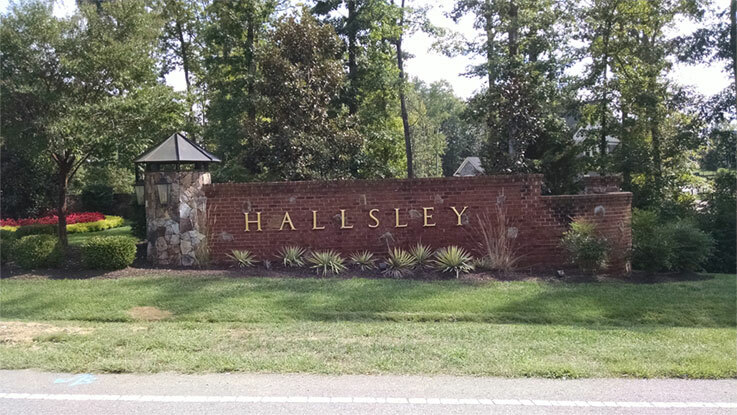 This is the first house we have built in Hallsley and we are quite excited to be involved in such a fantastic neighborhood. Wait until you see their playground. I would love to try their zip line. They even have a dog park. 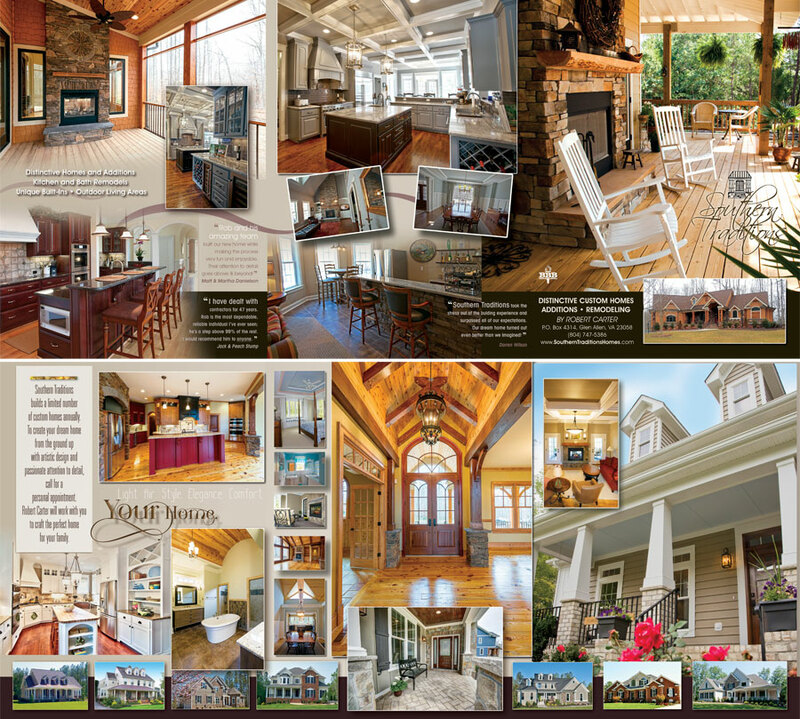 I love their club house with its reclaimed wood mantle above the fireplace and what a large pool! We have received final approval on our plans so we can get our building permit and start construction. It has been a busy week. We have selected our stone and brick for the house. Most of the roofing will be galvanized metal. It is going to be a good looking farmhouse. 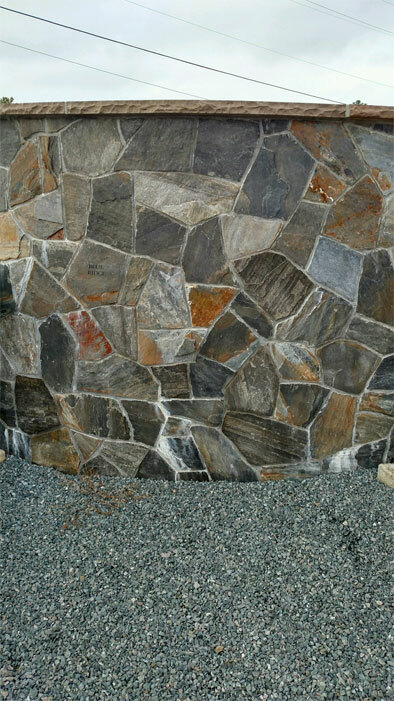 Do you like the stone we selected? We have cleared our lot and plan to dig our footing and install the foundation this week. I will be sure to share pics of our house while under construction with you. Next time, I will share with you a pic of the front elevation of the house so you will know what it’s going to look like when we are finished in about 6 months. Stay tuned, the fun is just beginning!